The Paper Chase – Did You See That One? Based on the novel “The Paper Chase” by John Jay Osborn Jr.
James Hart (Bottoms) has just begun his law school experience at Harvard. Now he’s juggling the intense educational demands with his new relationship with Susan (Wagner), who also happens to be the daughter of his hardest professor (Houseman). 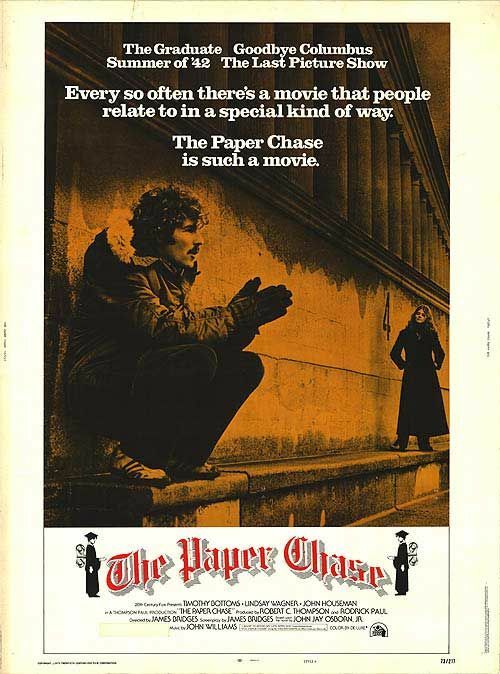 This movie is based on the John Jay Osborn Jr. (The River Why) novel “The Paper Chase”. The film was written and directed by James Bridges (Urban Cowboy). The movie stars Timothy Bottoms (The Last Picture Show), Lindsay Wagner (Ricochet), and John Houseman (Three Days of the Condor). Edward Hermann (The Lost Boys), James Naughton (The Devil Wears Prada), and Graham Beckel (L.A. Confidential) round out the cast. John Jay Osborn Jr. wrote his novel, “The Paper Chase”, based on his own experiences as a law student at Harvard. He actually completed the book as a third year law school student. His work was subsequently made into this movie and a television show of the same name. This story focuses on one student as he tries to balance his life inside of school with the real-world distractions outside of it. 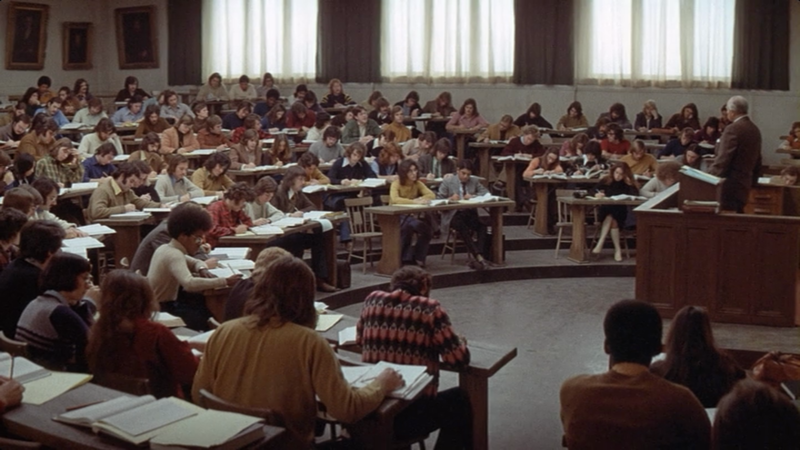 The film is an interesting look into the lives of law school students. The adjustment period for the students is nicely portrayed, as are the struggles throughout their first year. The drama built into the story isn’t unrealistic to the setting, and really helps to fill in the story. Overall, this is one of the more interesting stories you’ll find about the legal field. James Fields also earned an Oscar nomination for Best Adapted Screenplay. The acting in this movie is pretty solid from the core cast members. 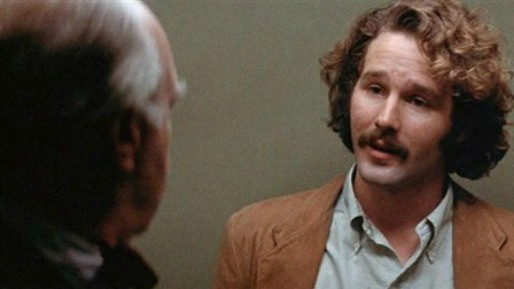 Timothy Bottoms does a nice job bringing out the conflicted nature of his character. He also has great chemistry with the other actors in the cast. One of those actors is Lindsay Wagner. She has an interesting role to play in this film. Her performance really serves as the voice of the outside world for Bottom’s character. Together they share some great moments in the movie. John Houseman probably has the best individual performance of anyone in this film. He brings out the stern nature of his character from the very beginning. His delivery is so great that it almost creates a sense of fear for the other characters in the movie. As an antagonist he is subtle and direct, allowing the story to bring out the real conflict without having to say anything obvious. He was awarded with an Oscar for Best Supporting Actor for his work. The rest of the cast also do nice work in this movie. Hermann, Naughton, and Beckel all bring out something different from the story. Along with Bottoms these men create the core group of students who are struggling with different issues as they fight to keep their heads above water. This movie features good acting from just about everyone involved. This movie doesn’t need to do much to make a visual impression. Mainly, the film succeeds because the visuals feel natural with the material. Most of the exterior work in the movie was actually filmed at Harvard. This really sets things up nicely. The camera work also does some nice things, with the composition of the shots, that help the story along. The score for the film, composed by John Williams (Schindler’s List), is also very good. The movie was also nominated for an Academy Award for Best Sound. This is a very good movie that has aged remarkably well over more than four decades. While the references might date the movie, the story is relevant and interesting. For fans of drama, this is one to check out. I would also suggest this to fans of any of the stars. This might also be a good recommendation for anyone thinking about going to law school. I give this one 4 out of 5 stars. watched this a few months ago and enjoyed it very much. It’s interesting to see an artist take on such a unique experience like law school. Thanks for checking it out. Pingback: Urban Cowboy | Did You See That One?